Into a salivating thought bubble for this cute puppy. 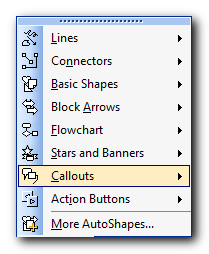 Insert a shape of your choice from AutoShapes on the Drawing toolbar to your slide. 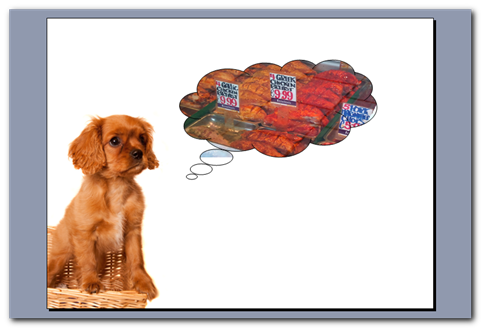 Here I selected a thought bubble shape from Callouts. 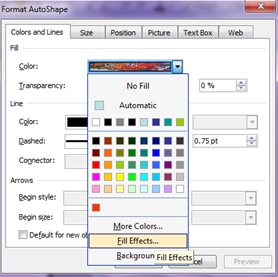 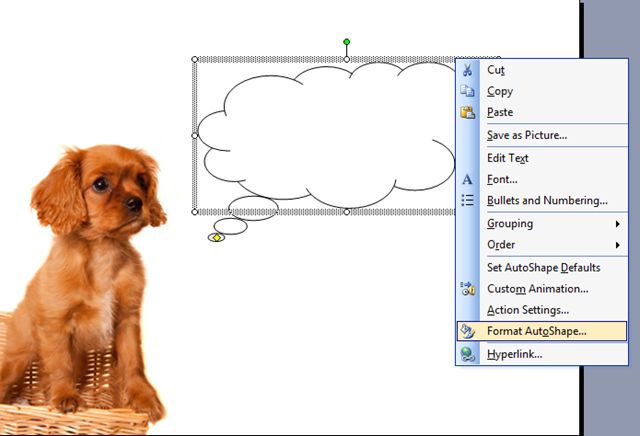 Right-click the shape on the slide and select Format AutoShape. The Format AutoShape dialog opens. 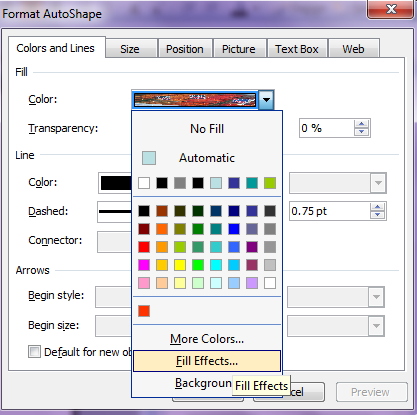 Choose Fill Effects from the Fill Color dropdown list (Colors and Lines tab). 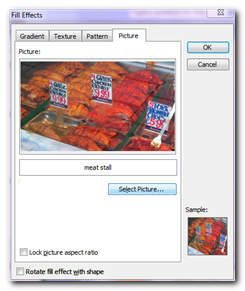 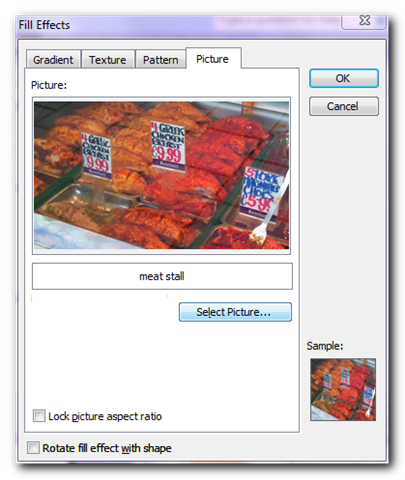 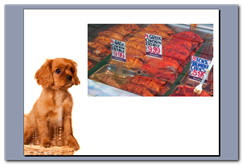 Click Select Picture on the Picture tab and browse to select the picture you want to insert. 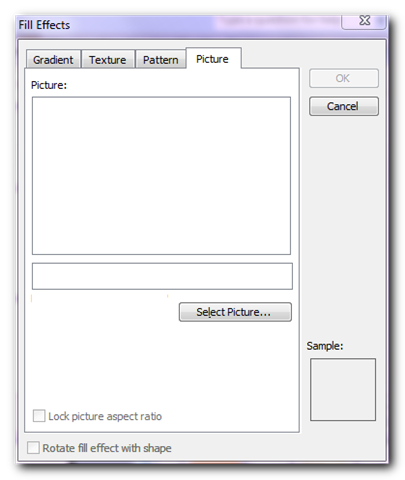 Confirm and close all the dialog boxes.